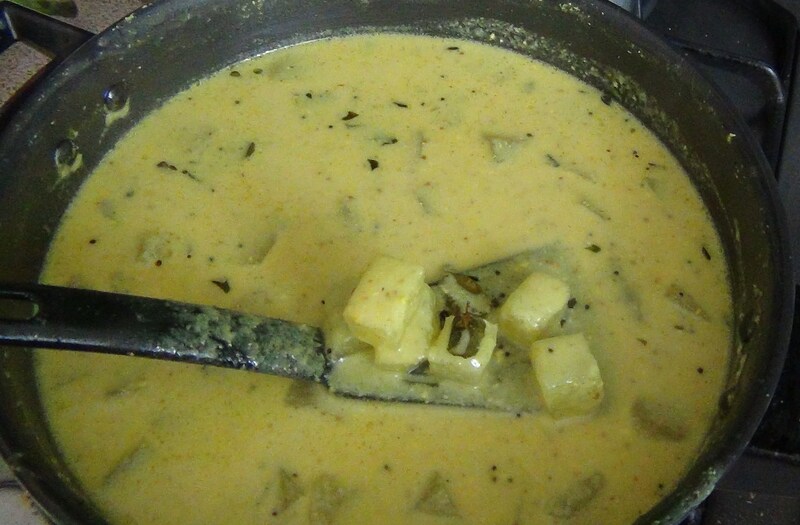 Mor Kuzhambu is a simple yoghurt curry. Mor means buttermilk and kuzhambu means gravy or curry in tamil language. 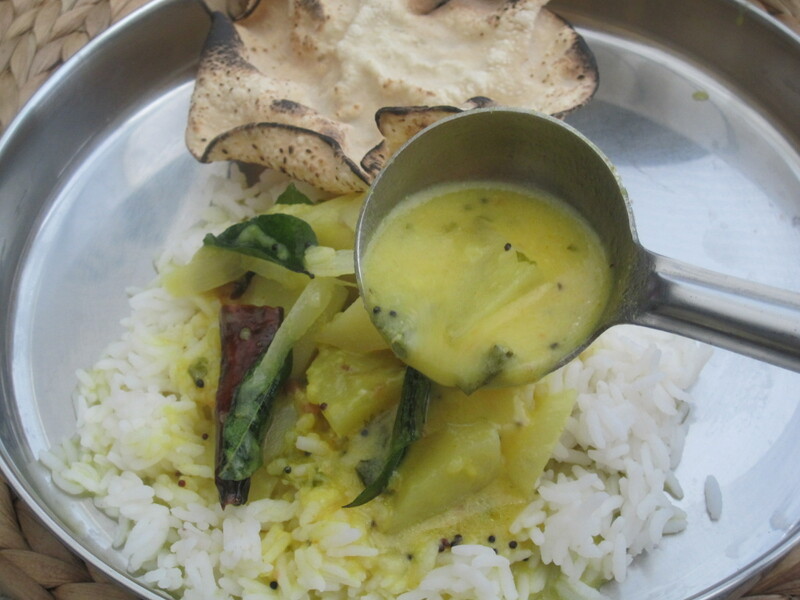 In the north of India, the gravy made with yoghurt is called ‘Kadi’. 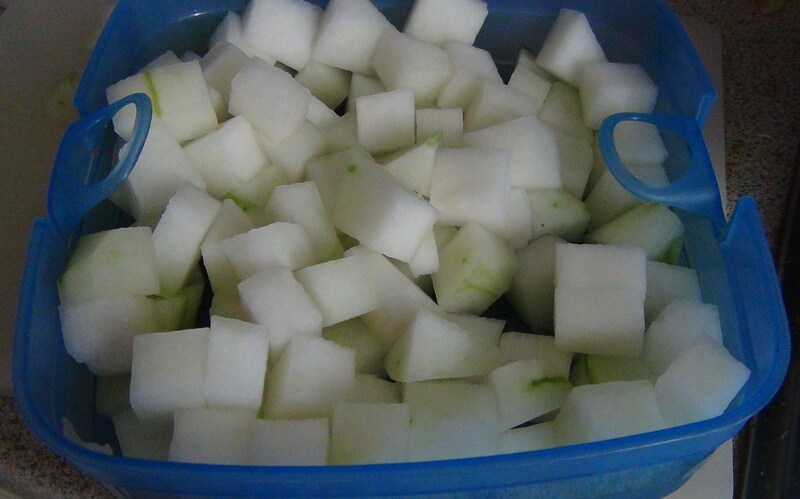 Mor Kuzhambu looks like the north Indian ‘Kadi’, but the flavour of mor kuzhambu is enhanced by the ground coconut mixture and it is thinner in consistency. 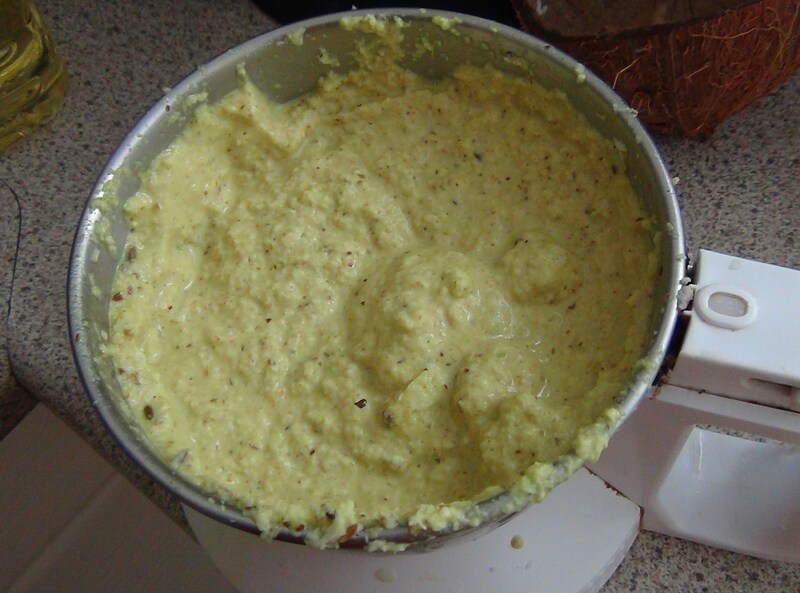 It is a really light gravy and very less or nil in pungent spices, which makes it easily digestible. 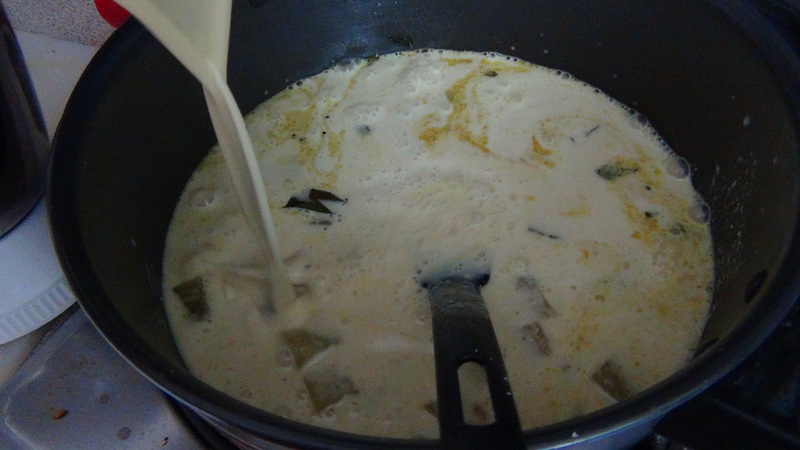 Vegetables like okra, long squash (lauki) or ash guard (white pumpkin or petha) are generally used in making this kuzhambu. Vadai (vada or deep-fried lentil balls) made fresh with soaked and ground kadalai paruppu/channa dal/bengal gram can also be used instead of vegetables to make mor kuzhambu. When I was young, Mor Kuzhambu used to be our Sunday Lunch Special. 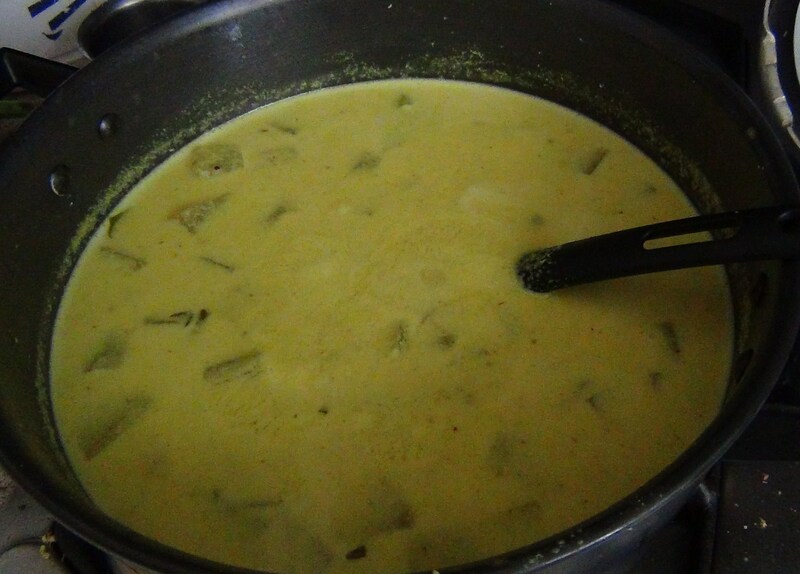 Mostly, amma used to make ‘vadai potta mor kuzhambu’ or buttermilk curry with deep-fried lentil balls soaked in it. Sometimes, with vegetables. A few years ago, I had the splendid privilege of having aachi – my paternal grandmother and thatha – my grandfather come and stay with us for a while. When I wanted to cook something special for thatha, aachi suggested mor kuzhambu – one of his favourites and very easily digestible at any age. Now, destiny had knocked my kitchen door to make me realise what I had missed so long. I asked her to guide me. 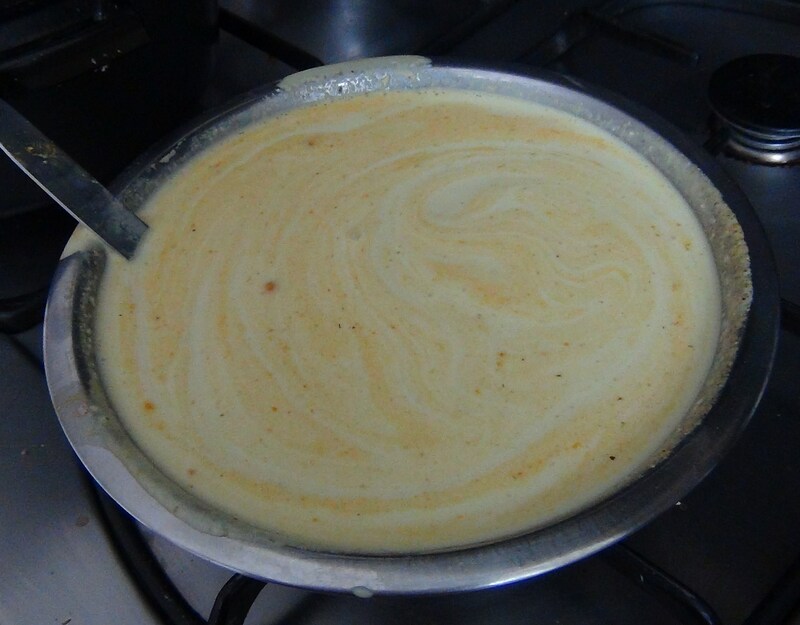 The step by step process of making mor kuzhambu… the exotic aroma of grinding coconut with many more ingredients… the blended colour of buttermilk/beaten yoghurt with turmeric and the ground ingredients… the flavour of the vegetable cooked in this kuzhambu/gravy…. 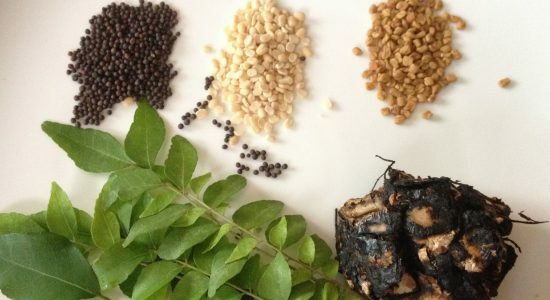 all made me relish the art of making mor kuzhambu and love tasting it too! This is traditional tirunelveli style mor kuzhambu… thoothukudi mor kuzhambu might be different. 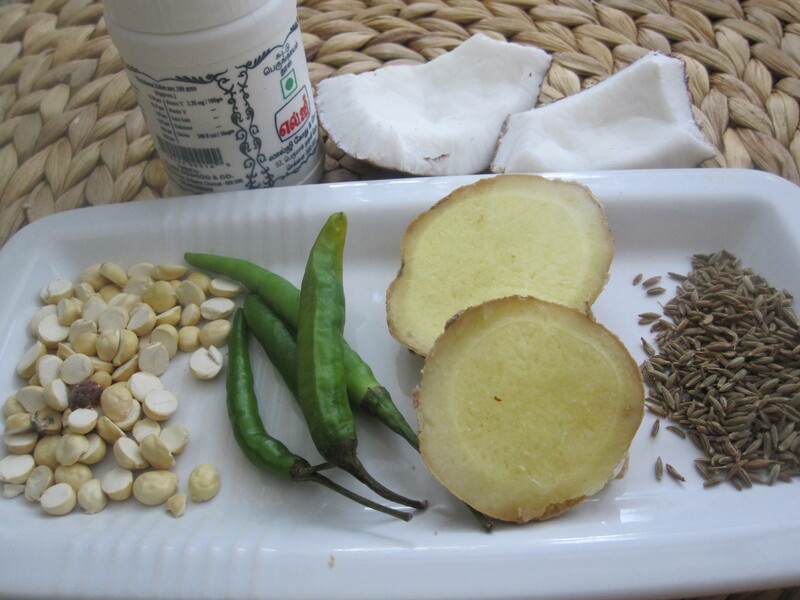 Mor Kuzhambu tastes best with ash gourd – vellai poosanikkai in tamil and petha in hindi. Other vegetables like vendaikkai/okra, suraikkai/bottle gourd, vellarikkai/cucumber or poosanikkai/pumpkin taste good in mor kuzhambu. Thanks for posting this..looks great..you have impressed the former President with this, I can’t wait to try it out. yes.. that was a great honour and a memorable event! I remember the ‘vadai potta mor kuzhambu’ :-). nice work akka ! thanks ramesh.. feels great to have learnt from aachi.